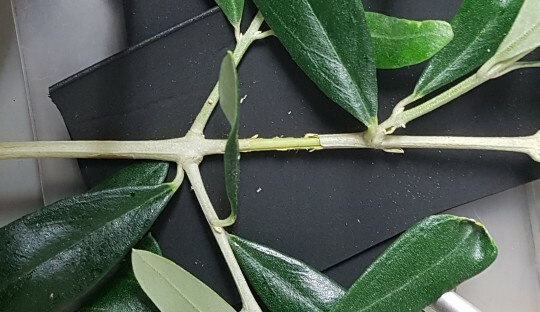 OpenSourceOV provides community-developed resources for assessing the impact of drought on plants using optical techniques developed by researchers at the University of Tasmania. For more information about the project and background there are further sections to the overview which can be accessed by clicking the Next button at the bottom of the page or using the section links on the side. Capture – the first stage is to capture images of the sample over time while recording drought stress (as decline in water status). Instructions and guides can be found in capture. Process – remove noise and extract the necessary information from the sequence of captured images. See process for details. Analyze – the last stage involves linking drought stress with the captured image data and analysing the results. See analyze for details. Resources – for a list of suppliers and links to learning materials and online communities. Articles – for published articles using the technique and articles by OpenSourceOV on various aspects of the technique and setup. OpenSourceOV is an Open Source project that encourages community development of all the resources found on the site. All content has been released under a GNU General Public License v3.0 and where possible has been hosted/published on collaborative OpenSource platforms including Github, Thingiverse and Tinkercad. See contributing for more information.